Better access to and utilization of existing and new types of data is key in transforming the energy system of Europe. A transformation in which the consumer becomes active and is put at the center of the energy system. Where we maintain a demand focus that increases energy efficiency across the whole energy system. An in which we achieve an energy system optimization leading to a secure, cost-effective and sustainable energy supply. Current Energy Applications are not taking full advantage of Big Data technologies. A number of Big Data technology stacks exists and it is not possible to create one platform that meets the need for all different situations in the electricity value chain. For advances in Visualisation and Descriptive Analytics we see that it is a challenge to make data accessible, usable and understandable. For Prescriptive and Predictive Analytics we see that existing approaches rely on rule based systems and physical models, while there is a potential to make more use of existing generic Machine Learning solutions and advanced statistical prediction. For Real time Analytics, is seems like existing solutions are typically not able to handle the analytics of real time sensor data efficiently enough. Advances have to be made, and the industry need European pilot projects demonstrating the impact of potential solution. 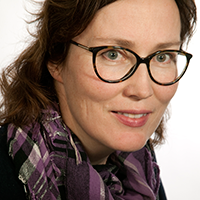 Grete Coldevin is the Executive Director of the Norwegian Smart Grid Centre, a not for profit advocacy body for smart grids in Norway with 50 partners from the power industry and the ICT industry, and from R&D institutions. She is presently coordinating the Norwegian Smart Grid Technology Platform consisting of 8 power industry demonstration sites and one university smart grid laboratory. Ms. Coldevin collaborates with the European Smart Grid Technology Platform (ETP Smartgrids), she is serving at the Executive Committee of the International Smart Grid Action Network (ISGAN), and is a national representative at the European Electricity Grid Initiative (EEGI).